S&P Global Ratings recently offered more analysis as to how it examines subprime auto loan asset-backed securities (ABS) issuers in light of what the firm described as an increasingly noticeable trend. 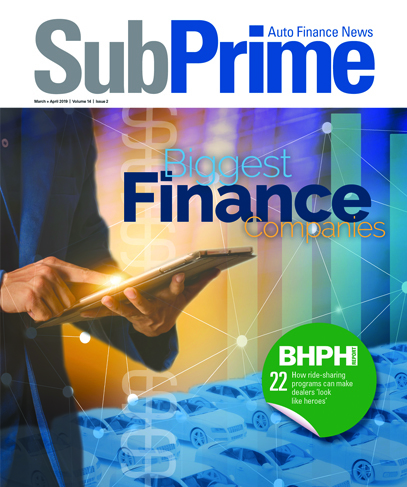 The firm explained that certain U.S. subprime auto loan asset-backed securities (ABS) issuers are reporting more losses later in their transactions' lives than in the past. Because this development is likely due to the longer contract terms and the softer and gentler collection approaches, such as higher extension rates, S&P Global Ratings indicated that analyzing cumulative net losses in the traditional manner (by months outstanding) can sometimes provide an incomplete picture. In a report published by S&P Global Ratings, titled “Using Pool Factors to Analyze U.S. Subprime Auto Loan ABS Credit Losses,” senior director Amy Martin noted that analyzing loss performance relative to pool factor (the amount of original principal balance remaining in a transaction) affords additional insight into performance, because it captures collateral and collection variations across issuers and over time. “Issuers’ pools amortize at different rates, given their disparate lending terms and collection practices. We take this phenomenon into account in our rating approach,” Martin said. “Slower amortization of a pool doesn't in and of itself pose a risk to the transaction as long as losses are within expectations and credit enhancement is adequate to cover tail-end losses,” she continued. “In our opinion, monitoring losses by pool factor provides a better barometer of performance across issuers (than by month outstanding) because it takes into account the varying rates at which their pools amortize,” Martin went on to say. “Such analysis can also prove useful when examining performance for an issuer over time, given that the terms of its auto loans or its tolerance for delinquencies and extensions may have changed,” she added. S&P Global Ratings pointed out this report does not constitute a rating action.